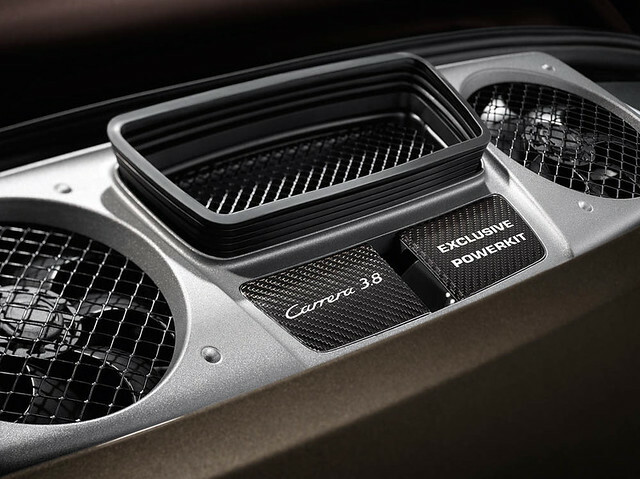 Dubai: For its exceptionally performance-oriented customers, Porsche Exclusive now offers a new power enhancement kit developed for the 911 Carrera S. It focuses specifically on the dynamic properties of the sports car. It boosts the power of the 3.8-litre boxer engine from 400 hp to 430 hp, producing even better driving performance. Thanks to this Powerkit, the 911 Carrera S Coupé only needs 4.0 seconds to sprint from zero to 100 km/h with PDK in Sport Plus mode. The kit also increases the top speed by four km/h: to 306 km/h with PDK and to 308 km/h with a seven-speed manual gearbox. However, the enhanced power has not affected fuel economy: fuel consumption values in the NEDC are unchanged despite a power increase of over seven per cent. More power without higher fuel consumption is made possible by carefully tuned modifications and adaptations to the electronic engine management. The core elements of the Powerkit are special cylinder heads with different camshafts and an entirely new variable resonance intake system design with six air flaps and a resonance flap. An additional centre radiator keeps the higher specific power from overloading the thermal management system of the six-cylinder engine. Low exhaust back pressure is achieved by the sport exhaust system that is equipped with two sets of twin tailpipes with independent styling; this system is also included with the Powerkit. At the press of a button, the exhaust system is de-throttled, the two exhaust lines are merged and they generate a powerful engine sound. The Powerkit also includes the Sport Chrono package with dynamic engine mounts for even sportier driving properties. A visual trademark of the Powerkit is the car’s modified engine compartment styling with titanium coloured engine cover and carbon inlays. Porsche Exclusive also offers aerodynamically tuned exterior components that offer customisation over various expansion levels. The basic component is the front apron that extends low and has powerful air intakes from the Sport Design package. This package also includes a fixed rear spoiler in legendary “ducktail” form. The top upgrade is the Aerokit Cup with an additional fixed rear wing over the rear spoiler and a special front spoiler lip with additional air intakes. 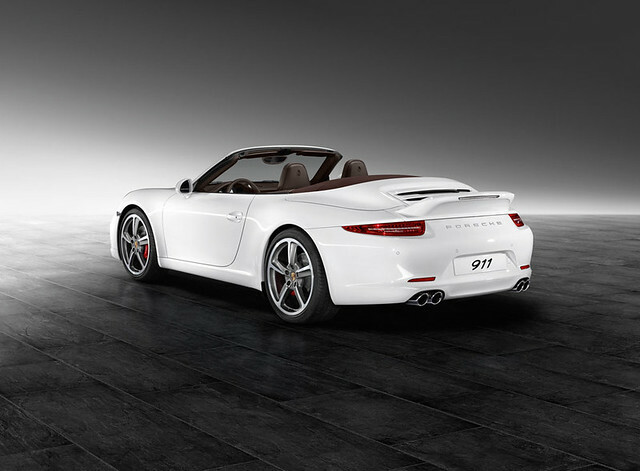 Other new Porsche Exclusive products for the 911 Carrera include the Exterior package with various components in body colour as well as numerous interior upgrades such as decorative trim ranging from brushed aluminium to carbon.